St Vincent’s Castleknock College students have a high success rate in gaining access to third level education. 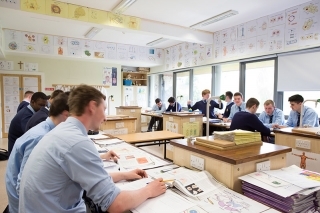 The college is currently ranked joint first top feeder school for Irish universities and was ranked in the top ten schools feeding to high point courses (over 400 points) in Irish universities 2015 – 2017 (Irish Independent). The college was also ranked top school in Dublin County North of the Liffey 2018 (Sunday Times).